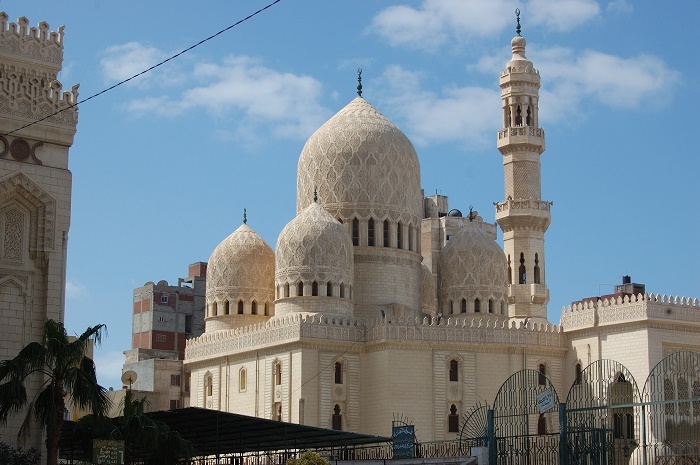 The Abu al-Abbas al-Mursi Mosque is an important and historic mosque that can be found in the city of Alexandria, within the Arab Republic of Egypt. 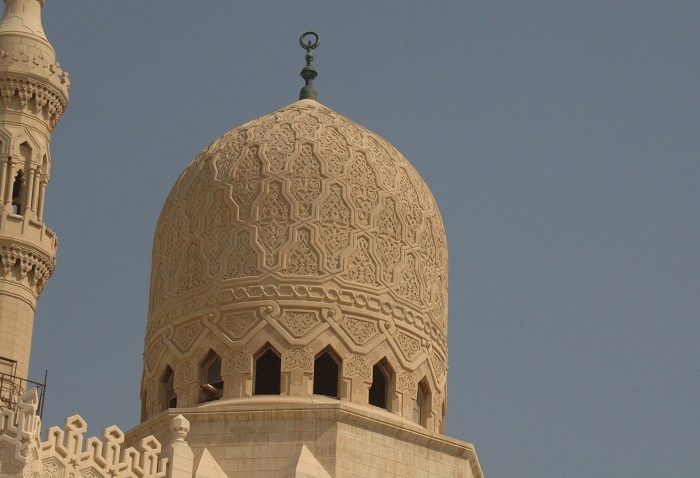 Built over the tomb of 13 century Murcian Andalusi Sufi saint Abul Abbas al-Mursi, the mosque can be easily seen and distinguished in the neighborhood of Anfoushi. 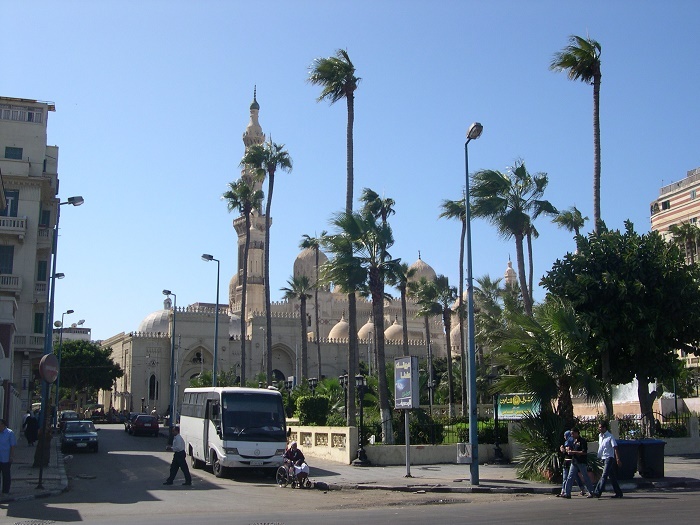 The first structure that is encompassed today by the mosque is considered to have been built sometime in 1307 by El Sheikh Zein El Din Ibn El Qattan who was one of the richest traders of Alexandria, and under his orders, a construction around the tomb began. 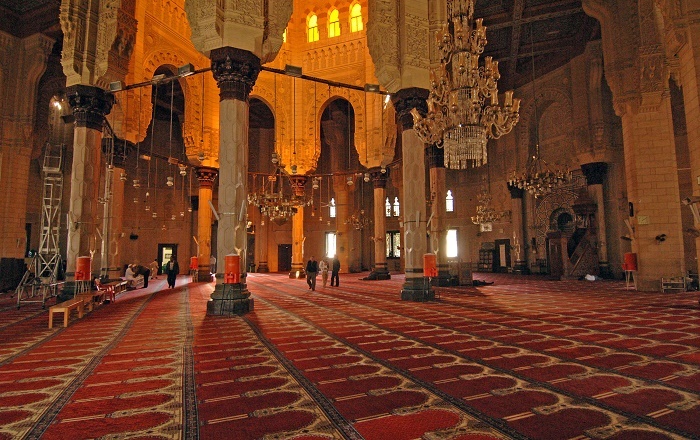 During the years when El Qattan was alive, the mosque was in good condition and visited by plenty of people, nonetheless, by 1477 it was neglected and in enormous need of repairs. Therefore, the ruler of Alexandria at that time, Gaqmas El Zahry, ordered for renovation who also ordered for another tomb to be built alongside of the Murcian Andalusi Sufi saint, where he would be laid to rest. 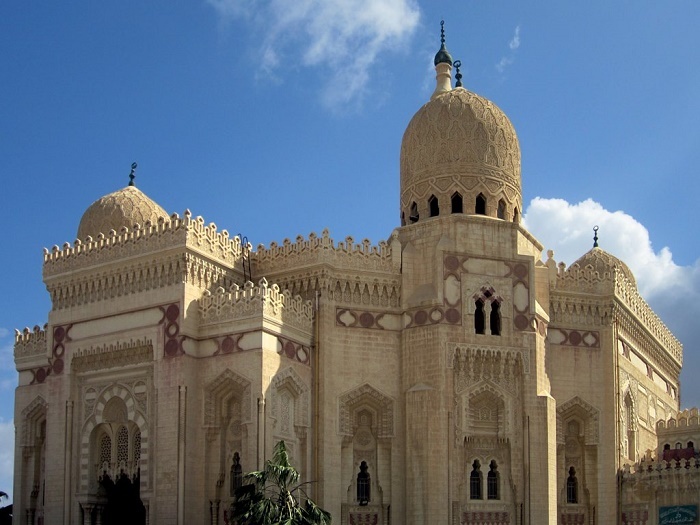 Throughout the centuries, Abu al-Abbas al-Mursi Mosque was renovated over and over again, but what we are able to see nowadays is the work which was done by Eugenio Valzania and Mario Rossi in 1929 and 1945. 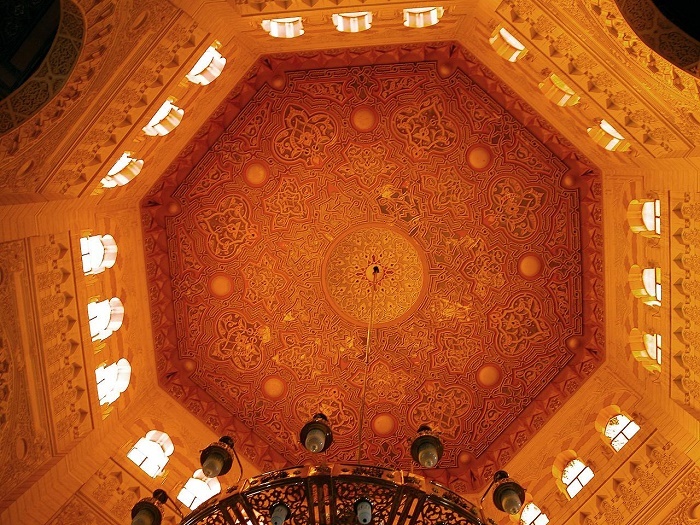 There are two entrances to the religious building, the main internal part is octagonal which sides are some 22 meters (72 feet) long. The entire area is measured to be 3,000 sq m (32,292 sq ft), and the ceiling is supported by 16 solid columns that are made of Italian granite. All in all, this gorgeous religious landmark of Alexandria is proudly standing on Midan el Masaged, better known as Mosque Square, and invites all the people who live in the surrounding, together with the plenty tourists who decide to get and experience the amazing Egypt.